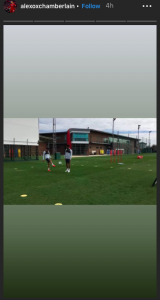 The training ground of a top six side during an international break is more akin to a ghost town than a football club. With players jetting off all over the world to represent their countries, those left behind are usually in the minority. But that doesn’t mean that good things can’t still happen while most of the lads are away. 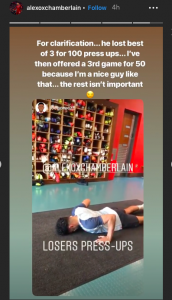 Liverpool fans will certainly be of that opinion at least after Alex Oxlade-Chamberlain took to Instagram to post a series of videos that will have supporters licking their lips in anticipation. 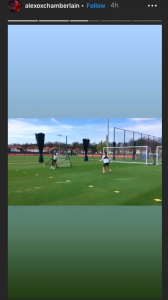 The England midfielder uploaded a number of clips of him and teammate Joe Gomez training together while their colleagues are away with their nations. The duo are seen passing a ball back and forth off a wall, with the loser putting forced to do a boatload of push-ups as a punishment. 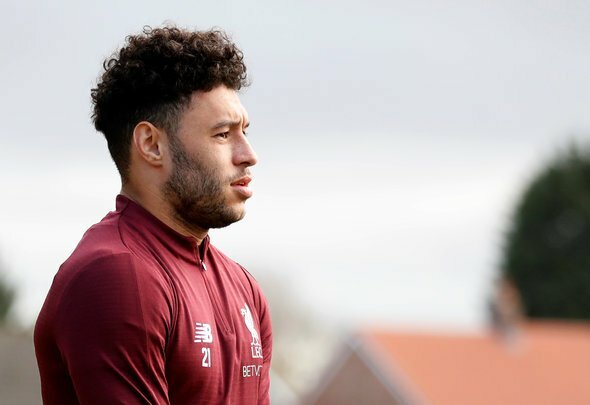 It’s brilliant to see Oxlade-Chamberlain and Gomez back in action, and Reds’ fans will be over the moon to see the two with a ball at their feet, seemingly ready to get back into the thick of things. We’re getting to a crucial juncture in the season now, and the more help Jurgen Klopp’s men have, the better. And as far as impact players to come back into a side go, it doesn’t get much better than Gomez and the Ox. The defender was forging a formidable partnership with Virgil van Dijk at the heart of defence prior to his leg fracture, and having him back will bring a real element of solidity that the Reds will higgle benefit from. As for Oxlade-Chamberlain, his potential impact needs no spelling out. His energy and creative flair could be crucial as the season draws to an end, and he will feel that he has some unfinished business to attend to after picking up a horrendous injury in last year’s Champions League semi-final. All in all, this is very exciting news.